Indonesia - The Peatland Restoration Agency (BRG) was established with a mission to accelerate the restoration of peatland hydrology and vegetation degraded as a result of forest and land fires. As part of its efforts, it has carried out social interventions in critical peatland regions and communities dependent on peatlands for their livelihoods. Forests News spoke with Dr. Alue Dohong, Deputy of the BRG’s Construction, Operations and Maintenance Division, on the impacts and challenges of BRG’s actions on the ground. What are the latest developments in BRG’s peatland restoration program? We’ve already finalized peat hydrology unit-based planning in seven provinces. We’ve also carried out interventions on the ground through the development of peat-based infrastructure such as canal blocking, canal backfilling, and deep wells. We’ve already built more than 5,000 [peat hydrology] units in the provinces of Central, South and West Kalimantan and Riau, as well as more than 1,900 canal blocks across six provinces. We’re also working on livelihood revitalization. We’ve funded 101 economic activity schemes from the 2017 national budget (APBN). What positive impacts have been seen from this program? So, we’ve blocked quite a few canals – thousands. Communities have built 4,000-5,000 canal blocks in a short time for small canals, around two-to-four meters wide. But to achieve such success, we do have to equip [communities] first. We hold technical trainings so that villagers can understand canal block and deep well designs, including their technical specifications and working procedures. Those are the successes in terms of peat-rewetting infrastructure. 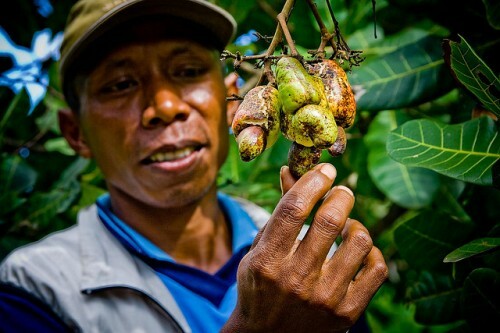 What are the positive impacts of this program on community livelihoods? There are 101 economic activity schemes for livestock, zero-burning agriculture, fisheries, honey, and even swiflet nests that strengthen community economies. We’ve introduced biological decomposition in the Pulang Pisau district in Sebangau Kuala village [Central Kalimantan province], which used to use fire for land preparation. Productivity has been very good. I asked how much rice was produced on average for several hectares – only 2.7 tons per hectare. With bio decomposition, it can be 5 tons per hectare. We are also encouraging livestock, through methods such as using local livestock feed like kumpai grass. The grass was a source of fires before; now it’s a source of feed. What constraints has the program experienced? We still need to develop an understanding of peat restoration among all stakeholders including the business world, communities, regional governments and ministries, so that we all have the same concept, the same understanding. That way, there will be no more contradictions or counterproductive discussions on restoration. There are also two main problems. One is technical constraints. Peat restoration, building peat-rewetting infrastructure, constructing deep wells, and introducing new economies without burning all require technical knowhow. We try to develop this with training and meetings. The second constraint is a social one, because transforming knowledge from burning to a new way of farming using decomposition requires trials. When trials are successful, people will want to follow suit. Of course, we can also overcome this constraint with training, meetings, workshops and so on. In regard to the government’s zero burning policy, is it true that it has the potential to disadvantage farmers? The BRG is trying to offer a solution through bio-decomposition techniques, like how to use cleared weeds as a source of natural fertilizer without having to burn them. This step away from burning – which is extremely negative when not controlled – is a process of cultural transformation, using new technologies that are more efficient with better levels of rice productivity. And I’m not saying it’s just farmers, because others also [burn]. And as this is a process, of course it needs time, needs capacity building, needs collective action. I think it’s positive – us leaving behind the old culture of fire. It’s very dangerous for peat ecosystems if it’s not controlled. We’re moving toward new technologies that slowly leave burning behind. Admittedly, it’s not a short-term process, but a long-term transformation. In relation to action research conducted by BRG, what learning materials have been produced? This year, BRG has more than 40 applicative pieces of research being conducted with education institutions. We have MoUs with 11 national universities in the seven provinces mentioned earlier and in Java with schools like University Gadjah Mada (UGM) and Bogor Agricultural University (IPB). We are also working with forestry research and development institutions, such as the Center for International Forestry Research (CIFOR). The research we’re conducting is more applicative: pilots that directly address problems on the ground and providing input for intervention; and appreciation, rejuvenation, and revitalization of local livelihoods. That’s the research focus now. Recently, the world’s largest peatland was discovered in the Congo. Can the results of the research and peatland restoration program provide learning opportunities? At the beginning of May, if I’m not mistaken, Indonesia hosted the second Partners Meeting of the Global Peatlands Initiative, with participants from the Congo. We exchanged both practical and policy experiences. 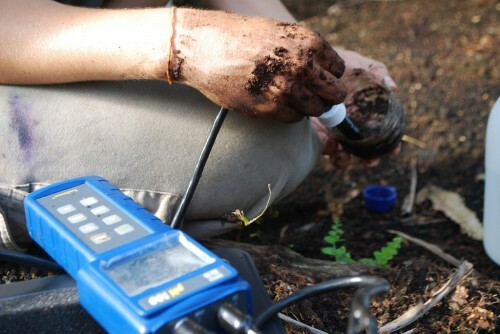 We also took them to the field to see restoration activities and peat-use practices in Indonesia. And they really appreciated it and said they needed to adopt them, particularly regarding the regulatory side, the restoration side and the practices. I’ve just heard the Congo government has formed a peatland restoration unit in the country. And its developments have been very good, even though it’s impossible for technical and practical issues in Indonesia to be adopted off-hand in the Congo. Of course, adjustments to biological and social characteristics are necessary. I’m positive the Congo can learn from us.